Paul Stephenson, latterly the PR head of Vote Leave, has joined the team steering Michael Gove's campaign to become Prime Minister. Meanwhile his former colleague at the campaign group Stephen Parkinson, alongside Lexington Communications' Fiona Hill (formerly Cunningham), form part of Theresa May's team. 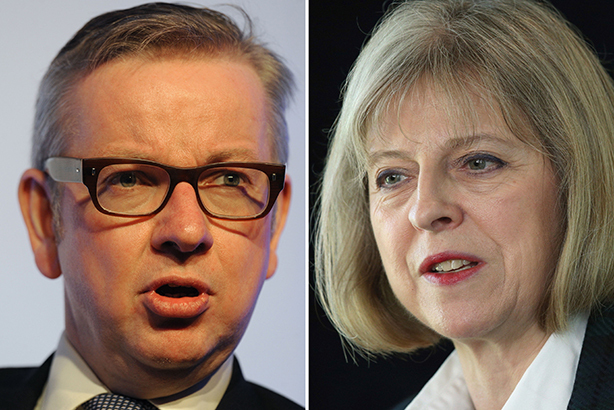 Brexit backer Gove, the Justice Secretary, and Home Secretary Theresa May are the frontrunners of the five Conservative MPs who threw their hats into the ring to lead the Conservative Party and take the keys to Number 10. Pro-'remain' MP May was seen as the favourite for the role this morning, even before major rival Boris Johnson decided not to run. Stephenson's name appears on a press release circulated today announcing Gove's leadership challenge, alongside that of Gove's former Department for Education special adviser Henry Cook. Stephenson, also a former spad, was appointed to Vote Leave in October following three years with the British Bankers' Association as director of external affairs. In the April edition of PRWeek he told the PR industry why it should not fear Brexit. PRWeek has learned that Beth Armstrong, another ex-DfE spad, and Henry Newman, a current spad to Gove, are also on his team. Gove also has the support of close friend and Cabinet Office minister Nick Boles. Hill, who joined Lexington Communications as a director last autumn and previously worked for May as a spad, is now advising May in her bid for Number 10, with Lexington confirming she had taken an unpaid leave of absence from the agency. Parkinson, the national organiser at Vote Leave, is also on her team, having stopped working with the Home Secretary in May last year. Nick Timothy, who is May's former chief of staff, and the director of the free school charity New Schools Network, is also working with May. Stephen Crabb's campaign team includes Anita Boateng, a spad working with him at the Department for Work and Pensions. One source suggested that Sir Lynton Crosby had been a potential member of Boris Johnson's campaign team, had the former London Mayor chosen to run. Crosby was approached by both sides of the EU referendum campaign, but did not do work with either. The Conservative Party plans to have a leader in place by the beginning of September. This story originally said it was "understood Cunningham had been working 2.5 days per week at Lexington". This is not correct, and has been removed.